I was happy to stumble across the secret to success at this site. Very funny. 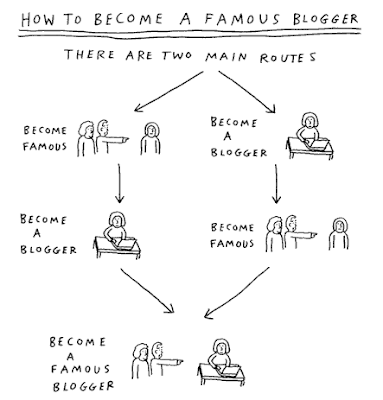 Just so you know Michelle, in my book, you are a famous blogger. And I want some of those sweet comfy ninja turtle shoes from your friend Bridgette. haha it finally makes sense!! You're on your way. Now to become famous!